NEW YORK, April 16, 2018 – Global brand and marketing consultancy Prophet (www.prophet.com), announced today that Senior Designer Alex Majkowski was presented with one of the 2018 Designer Dozen awards from VMSD, the visual merchandizing and store design magazine. Majkowski, 32, was recognized for his diverse portfolio of work ranging from automotive dealerships and grocery and convenience stores to quick-service and fast-casual restaurants and specialty retail formats. An experienced architectural designer, Majkowski is most interested in how designed experiences, within both digital and physical environments, can translate into an understanding of broader concepts. At Prophet, Majkowski is responsible for devising new approaches to designing both public and private spaces, always prioritizing the consumer experience. 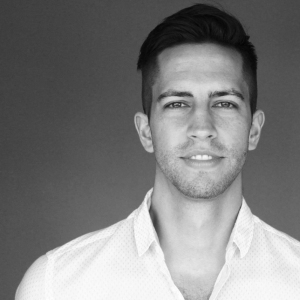 Majkowski graduated from Oklahoma State University with a degree in Architectural Design and has been a member of the Prophet team since 2016. Awarded annually for the last seven years, the Designer Dozen recognizes the industry’s rising talent under the age of 35. Designers, retailers and visual merchandisers were considered for this year’s awards. Others honored included talent from Sweetgreen, Gensler, Field Paoli Architects, FRCH Design Worldwide, WD Partners, Westfield Corp., CallisonRTKL, McKinley Burkart, Retail Habitats and Arcsine.